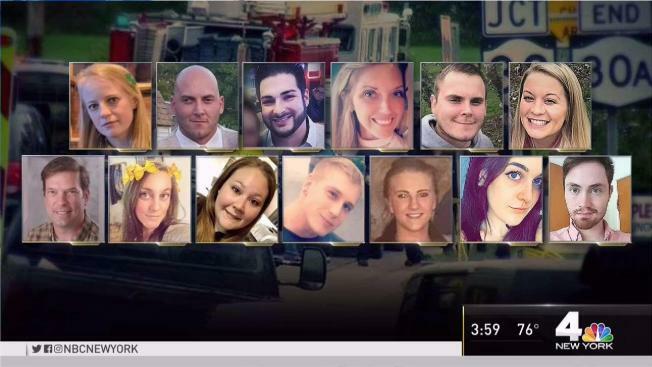 Authorities say the 18 people in a limousine and two pedestrians who were killed when the vehicle crashed off a rural upstate New York road earlier this month all died from the impact of the accident. New York State Police say Friday that results of autopsies conducted at Albany Medical Center confirmed all 20 victims in the Oct. 6 crash in Schoharie died from "multiple severe traumatic blunt force injuries." State police say they're still awaiting the results of toxicology tests, including for the driver, 53-year-old Scott Lisinicchia. Officials have said he wasn't properly licensed to drive the vehicle, which state police said was "unserviceable" at the time of the crash.